It could be called one of the biggest and fastest growing airlines in the world. Running an airline like Emirates is not just about getting you on the plane to enjoy a movie and getting to your destination on time. Find out what goes on behind-the-scenes every day. 1. Forget about that “unplug therapy”. Most of the A380’s now have free WIFI so you’re never offline! A flight attendant told me that when flying near the North Pole once, he was able to “check in” on Facebook. Probably one of the coolest check in’s we’ve ever heard! 2. You will never be bored up in the air. ICE (Information, Communication, Entertainment) can keep you busy for hours with about 1500 channels to choose from. No excuse to get bored, ever. 3. Emirates is one of the few airlines that flies the longest routes in the world. From Dubai to San Francisco, Los Angeles, Houston, and Chicago, just think about 14.5 plus hours on a plane! Thankfully, it’s done in comfort. 4. Dubai Airport just became the world busiest and Emirates has terminal 3 all for themselves. This makes for faster connections to your next destination! Plus, the airport never closes so planes can come and go day and night. 5. Feeling the need to take control and fly an A380? Make Emirates flight simulator at the Dubai Mall your next stop! 6. 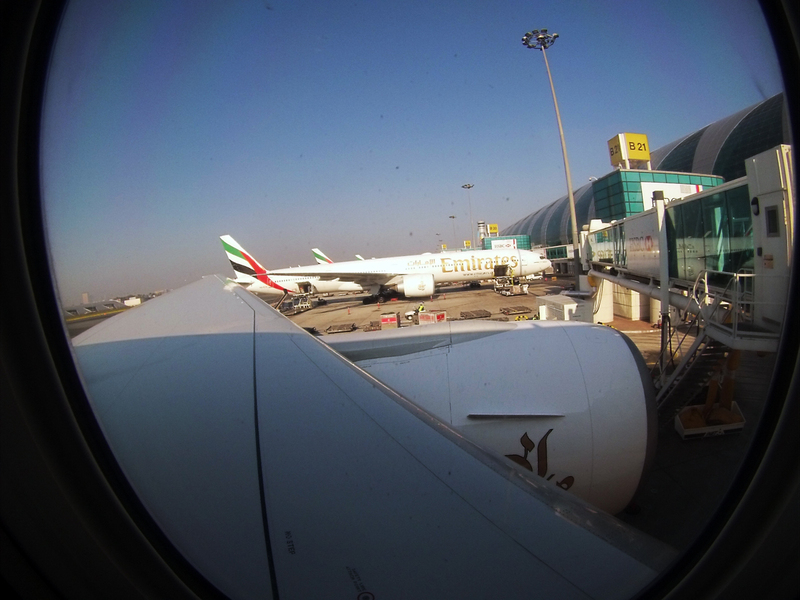 Love Emirates A380 planes? You can take one home for $420 at their online store. 7. First class passengers on the A380 have the option to use the spa in the skies! With a shower, along with high-end Bulgari products, First Class, and Business passengers get an amenity bag filled with the essentials, along with Bulgari products, available for both men and women. 8. The food is out of this world. Not your typical mundane plane food, Emirates raises the bar for dining in the sky. Tantalizing cuisine can be found at all class levels. In First and Business class, meals are served on Royal Doulton fine bone china with exclusive Robert Welch cutlery.